RANDOM LINKS TO DES’ WORK AVAILABLE ON THE INTERNET. CHECK OUT WWW.MAGNIFICENT.TV FOR MORE DETAILS. ON THE RIGHT IS A SELECTION OF GRABS SHOWING THE KIND OF WORK WE DO. NONE OF IT IS PHOTOSHOPPED. WE AIM TO LIVE UP TO THE COMPANY NAME! I have been running a production company called magnificent! since 2002. We have made 100s of promos for the BBC, Sky, national and local government, bands, charities and individuals. We have had credits on BBC4, Sky, Discovery and worked on major events such as The Buckingham Palace Concerts, Music Live, Eurovision, VE Day Concerts, Torch Relay Concerts. 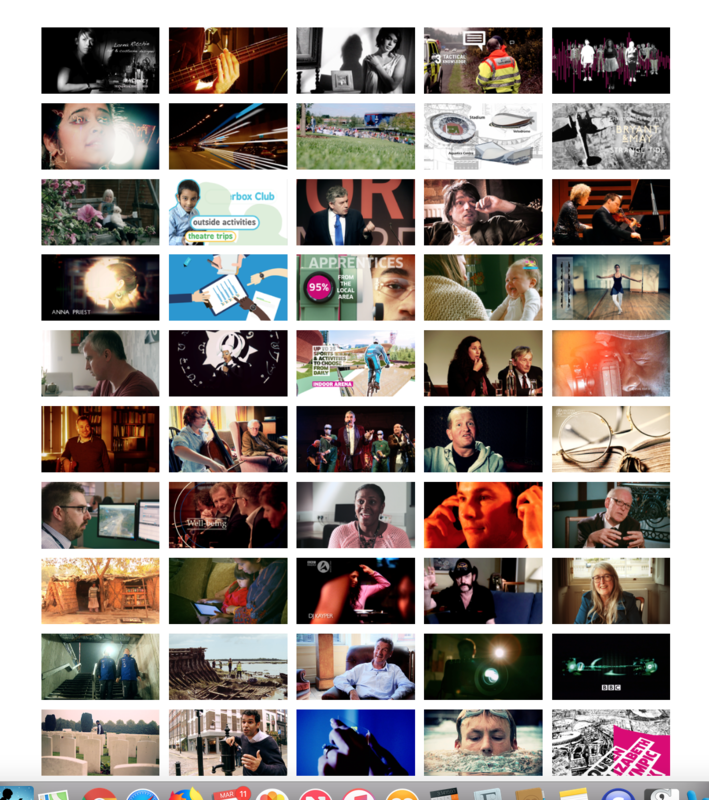 We made films for London 2012 for about 6 years. During this time we have interviewed or directed everyone from radio stars to scientists, sports men & women, to scholars such as Mary Beard and Noam Chomsky. This film was made on a shoestring during a trip to India to raise awareness of Leprosy and the work of Leprosy Mission International. It was commissioned by the Community Channel and is a rare chance to find out why Des was never interested in being in front of the camera. Des made almost a dozen films for the London Legacy Development Corporation, which runs the Queen Elizabeth Olympic Park. People often ask for help in pulling together their narratives. Andrew Grady – aka The Magic Thumb – set off from the UK aiming to get to South Africa by hitchhiking. When he returned he had a pile of rough tapes that needed shaping into a trailer. We shot a few new links, re-dubbed some of the sound and put it altogether for him. Task: with a tiny budget, can you direct and edit 11 performances by new bands in Hackney? And then put it together in a 1 hour livestream package with 2 new untried presenters, design some titles and mix the sound? Sure, why not.